Short interview with Richard Epcar, English voice of Jigen Daisuke and ADR director of the localization. 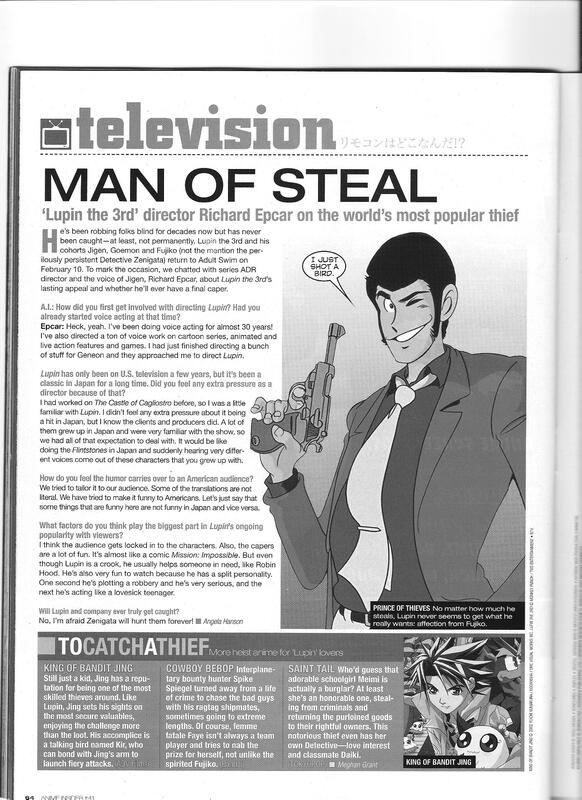 This entry was posted in Old Magazine Articles and tagged Anime, Borderline Plagarism for the Freedom of Information, Lupin III, Richard Epcar by torisunanohokori. Bookmark the permalink.